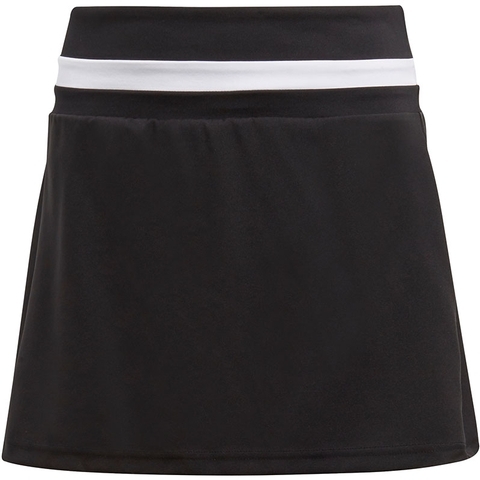 Own the court in this junior girls' tennis skirt. 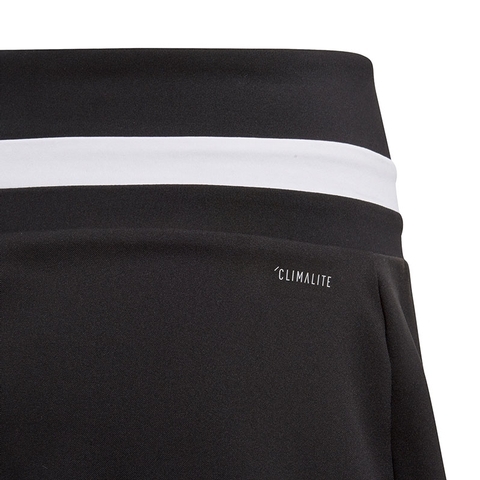 Made from sweat-wicking Climalite fabric that sweeps moisture from your skin, it has built-in briefs for extra comfort. Featuring contrast stripes on the elastic waist, the skirt has inner pockets so you can store balls when you're not hitting them. Ball pockets on inner tights. Colourblocking on elastic waist. Built-in tight briefs. Soft material. adidas Badge of Sport above hem.